Biography: Jacqueline Guest has written over a dozen books for young readers, specializing in sports themes and historical fiction. 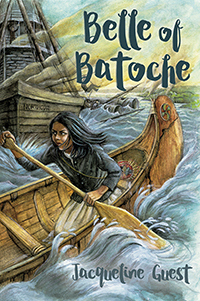 Many of her main characters come from different ethnic backgrounds, including First Nations, Inuit and Métis. Her books have been finalists for the Willa award and the High Plains Book Awards. For more information, visit www.jacquelineguest.com. The story of the Riel Rebellion from a Métis point of view. 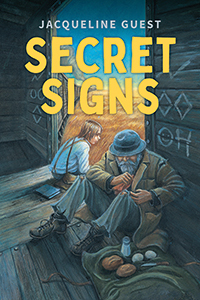 Will the secret signs lead Henry to his father?